You should get used to hearing, “Where did you get those glasses? We have taken the stress out of frame selection. Our opticians know how to select the right shape for your face and the best lenses for your visual needs. We feature frame lines known for great design, quality craftmanship, durability and comfort. Ask us about computer glasses, specialty glasses for sports like shooting and cycling and the best in sun protection. At Blink Eye Care we specialize in contact lenses and enjoy the challenge of the hard to fit patients. If in the past you have been told you were not a contact lens candidate we would like to discuss all of the new designs and materials that might make it possible for you now. 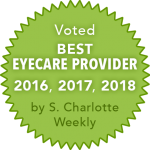 We work with severe dry eye patients and those with damaged corneas and keratoconus. Many people are cheered by a bright, sunny day, but the effect of all that sunlight on the eyes is a less sunny proposition. UV radiation and glare can create a variety of issues, from dangerous “snowblindness” to irreversible disorders that threaten your eyesight. Here are some frequently asked questions about the role of sunglasses in protecting the eyes from harm. If you want to know more about choosing the right sunglasses, call Dr. Henderson at 704-817-3800 today. Our goal is to offer frames you won’t see anywhere else, with the quality, design and function you deserve. 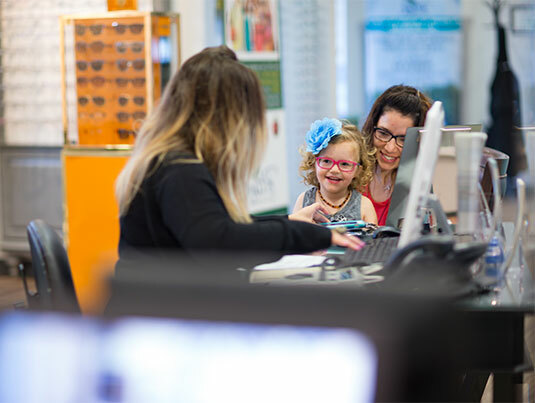 Our expert opticians make frame selection and lens design a fun experience.